Photo © Bruce Rowlands and Angela Geddes. 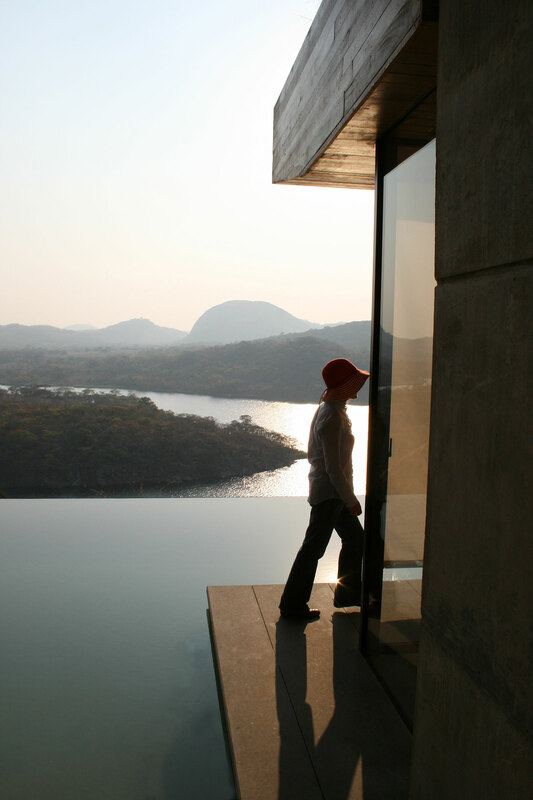 Like a large bird perched on the cliff’s edge as it contemplates swooping down over the water below, the dramatic Gota House in East Africa perfectly encapsulates the art of manmade minimalism as it interacts with Mother Nature; the site’s theatrical location played a crucial role in the development of the building’s intricate, and yet, clean-lined design. Completed in 2012, the impressive private residence was the first project by Sforza Seilern Architects, a collaboration between London-based Muzia Sforza and Studio Seilern Architects. 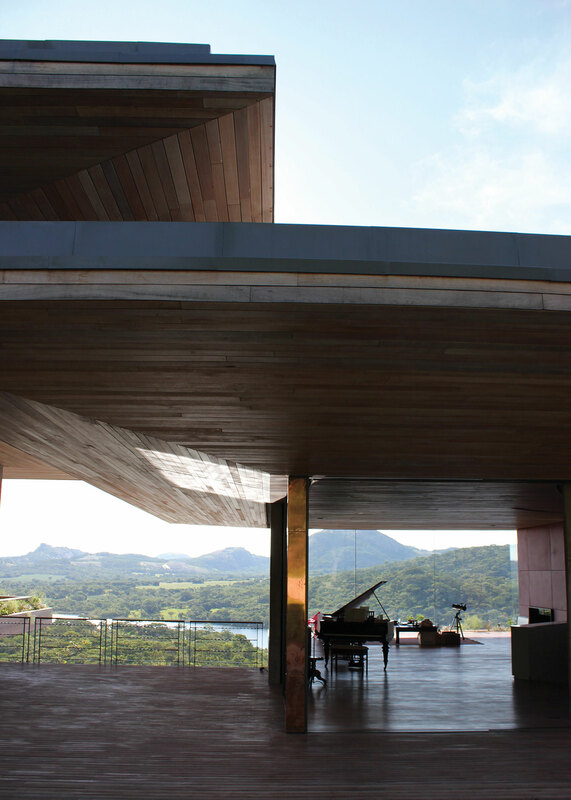 Fittingly, it has set the creative bar at the utmost level, having won a number of awards—the Blueprint Best Non-Public Building project 2014, and the RIBA International Award 2013 among others—to prove it. 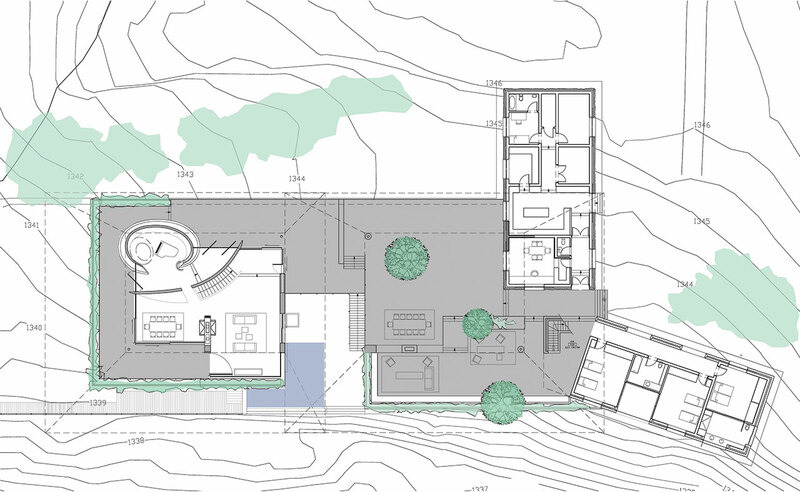 Site Plan © Seilern Architects and Muzia Sforza. 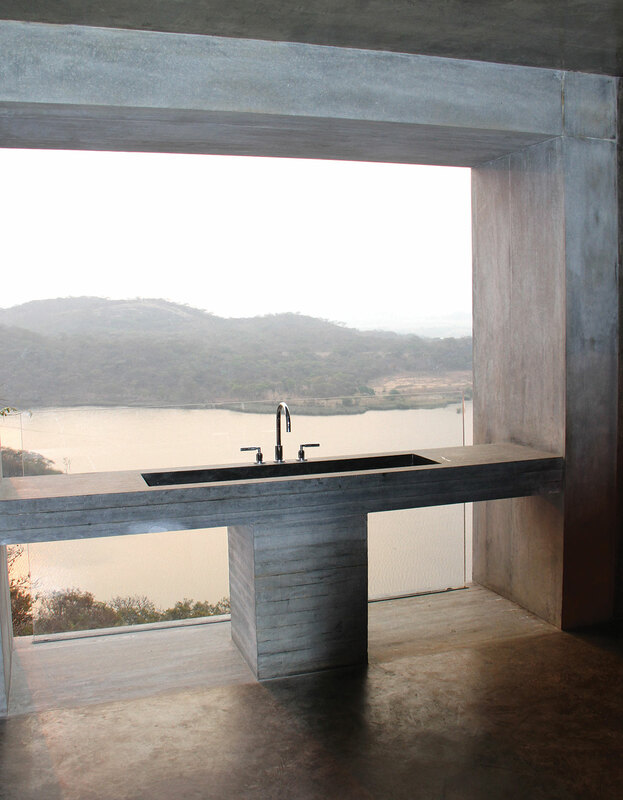 Perched atop the granite rock, the property’s bird’s-eye, panoramic views overlook the reservoir, verdant surrounding jungle, farmland, and the plunging Gota Dam fifty meters below (the manmade dam was actually the primary inspirational element that Sforza Seilern Architects utilized in the design of the project). 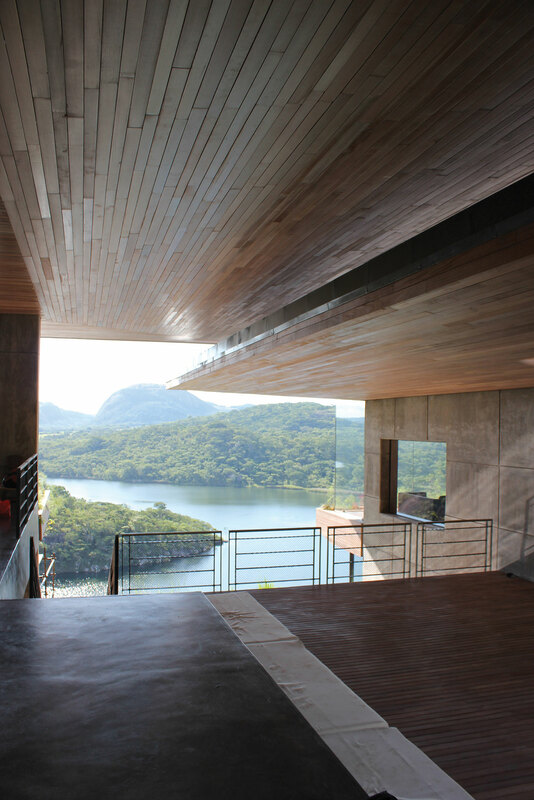 The home’s incredible timber terraces and wide windows have therefore been appointed so as to take full advantage of the views while the two wide cantilevered roofs covering the main wings of the building overlap each other as well as extend well beyond the actual square footage of the property. 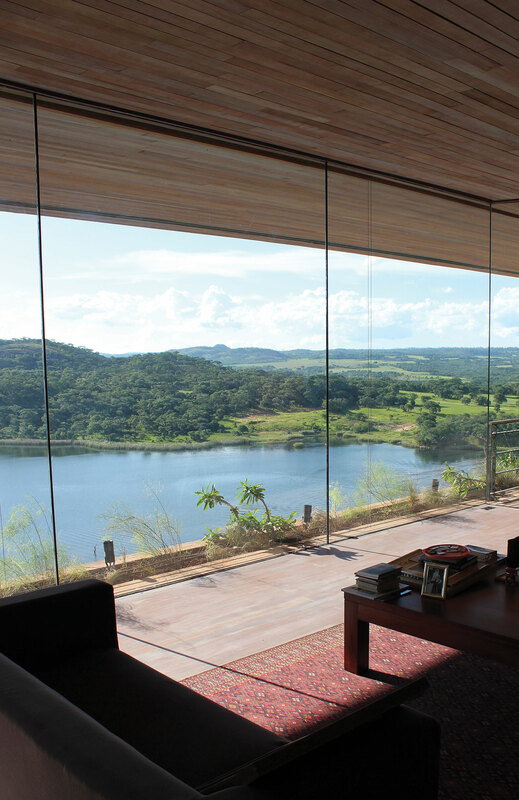 This imaginatively not only makes the house look as if it’s hovering above the water but, on a practical level, provides both the house and its occupants with much needed shade from the welcoming, but sometimes overabundant, African sunshine. Plan © Seilern Architects and Muzia Sforza. 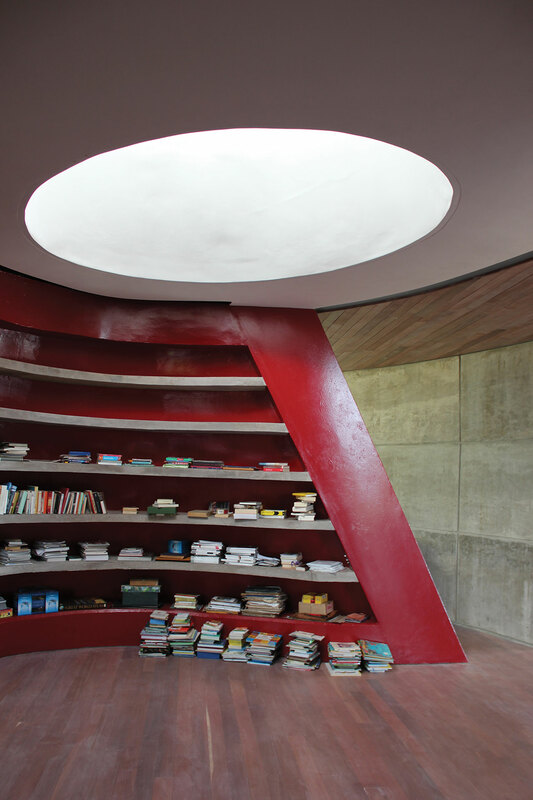 Meanwhile, the luxuriant, 1,500 sq meters of Gota House’s living spaces are ingeniously spread throughout various levels, each ranging in size from 112 to 116 sq meters. 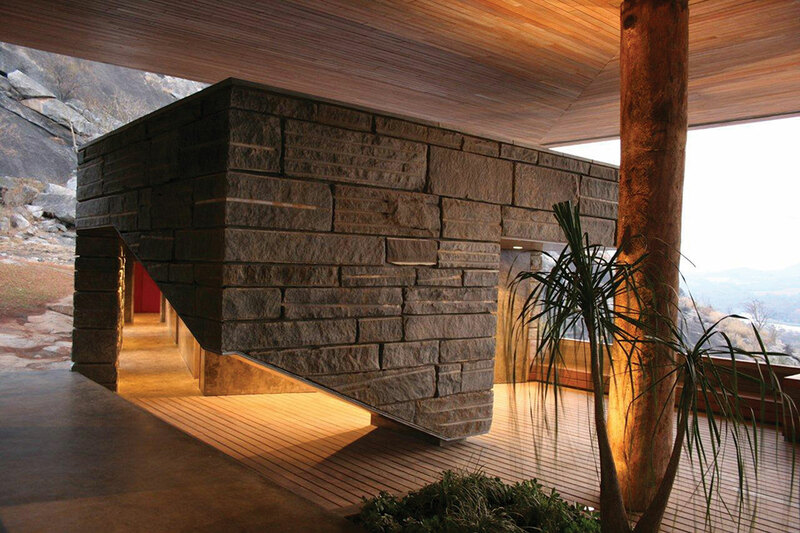 Proving that basics should never be underrated, the entire impressive structure is a composite of simple square shapes: these include the two large granite blocks towards the back of the structure which are crafted out of the stone excavated from the cliff side and look as if they are jutting out through the cliff, affixing and blending the building in and to its surroundings. Meanwhile, two more blocks, these crafted entirely out of glass and situated on two levels, balance seemingly precariously on the very edge of the precipice. Naturally, the views from inside these glass blocks—which enclose the living areas above and the master bedroom suite below—as well as from the swimming pool located on the lower level terrace, are jaw dropping and blend indoor/outdoor living. Lastly, a single granite cube constructed at the base of the cliff houses a home recording. The architects also turned to the area’s rich local culture to devise certain special elements which add unique touches, such as the garage covering which was inspired by basket weaving. 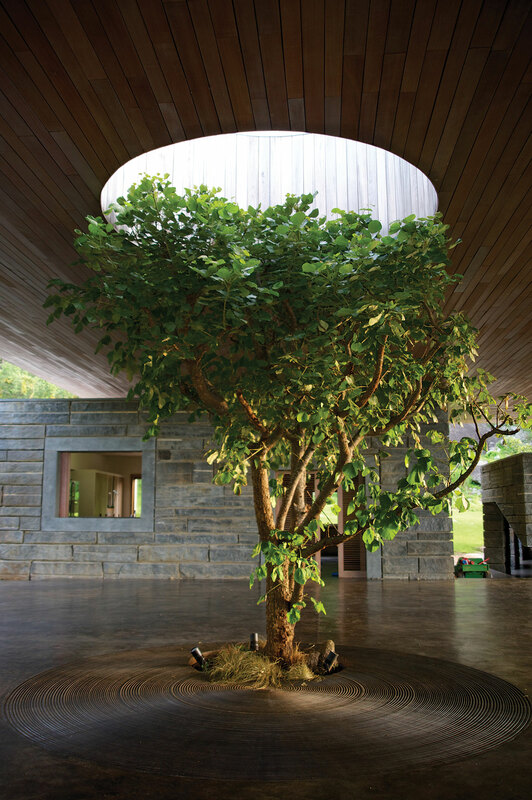 A definite respectful nod to nature is also visible in the way the trees growing on the property are embraced - seen in the tree growing through the middle of the covered terrace.